Great starter bat for players starting at a club or keen social players. Bat is made up with Chinese tacky rubbers that have excellent spin qualities, good speed and control. 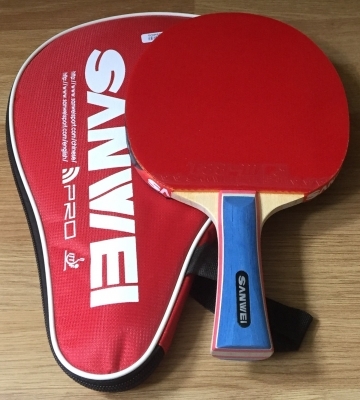 The blade is a high quality Sanwei 5 ply blade. The bat is very light and the handle is very comfortable to hold. Topspin highly recommend this bat. 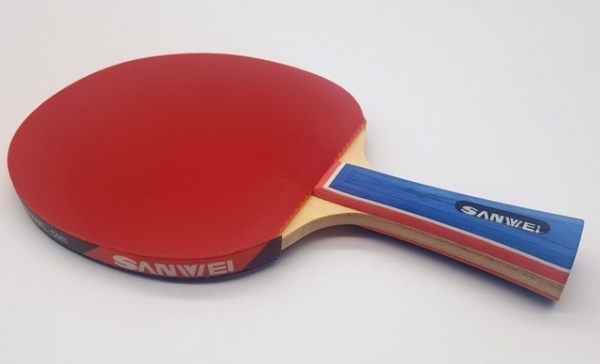 Chinese tacky red & black Sanwei T88-III Table Tennis Rubbers. Excellent spin and perfect balance between speed and control. Rubbers are hand glued and can be removed if player improves and wants to upgrade the rubbers. High quality 5 ply blade. Bat is light weight and ideal for young players. Comes with Red Bat Case.